It's funny - much of what you say, I've just said on my blog! I think we all have similar insecurities so it's nice to share them. Good luck with your new book (and congratulations) - I'll look out for it. I think you can do anything you put your mind to! :D It takes a while to get back onto anything we take time away from, but if you start slowly, you'll be back into the swing of it in no time! Congrats on your 7th books coming out! 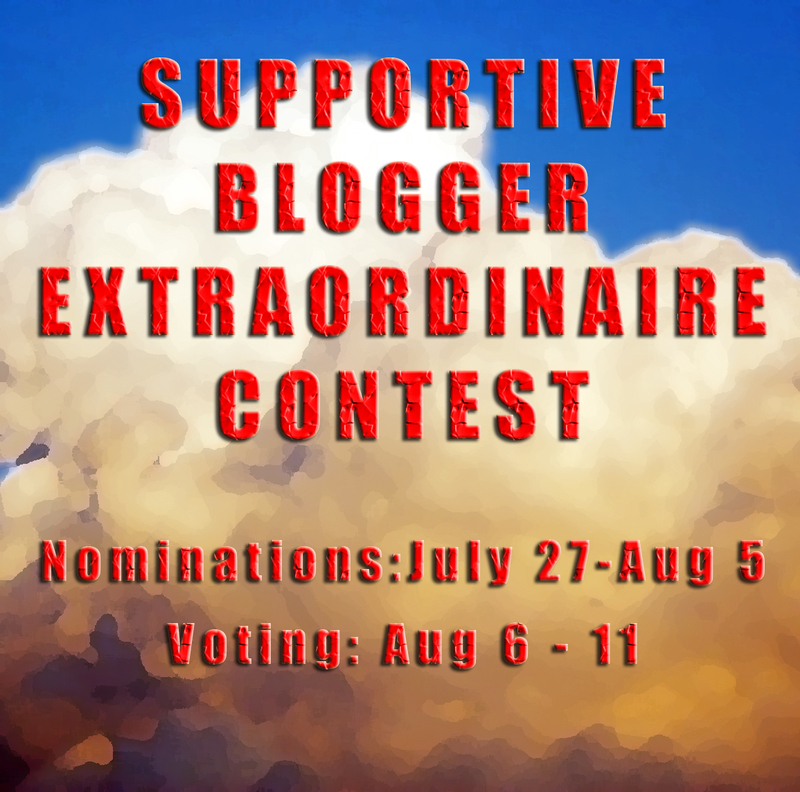 I love the Supportive Blogger Contest - that's hardly withdrawing! In fact I think that's the perfect way to stir things up again. In fact, I just recently found your site through that. ;) Best of luck to you! Mulling over past opportunities never recalled them for me. We get caught up in life. Hindsight is 20/20. But you are intelligent, and you learn. I think you can regroup and be very successful. It will just take time and effort, as does anything worth anything. L Diane, if anyone can do it, you can! I think you're in a great position! Susan, I need to go read it then. Thank you, all! Just got home and needed this boost. 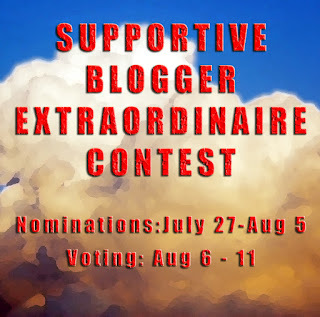 Re the Supportive Blogger Nominations it's pretty much a one horse race, but I find you a very supportive blogger, not in the fact that you support me personally or rush to help when I need it, but the fact that your blog is full of helpful posts which I've taken on board. Like everyone else I appreciate Alex J, but not everyone has the time or inclination to be a Ninja. I know that I can't keep track of all the social sites - I can't even keep track of twitter. I think picking 2-3 and sticking with them works. It's so difficult to keep up with the multitude of social sites. I'm sure you have the expertise to dive back in. You still have time to do it! I think your presence is still firm and visible. You have nothing to worry about. You still have time! And if all else fails, ask for help. 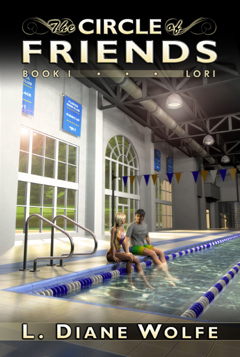 I'd be willing to post about your book with the Olympic hopeful on my blog. I also think you have a good, solid presence here on the web. I withdrew quite a bit, but I am not published yet. Still, I think that hurt my following more than anything. Boy, do I feel your pain. It's not easy doing all the social networking sites. It really isn't. One day I'll have a bullet-proof plan to visit all of them successfully. 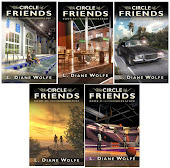 Diane, in The Frugal Book Promoter I talk about how marketing is like throwing pebbles in a pond to create ripples and if one stops tossing pebbles, the ripples eventually fade away. Your story is the perfect example. The thing is, you didn't really stop skipping rocks, did you. Look at the following you have! You have loyalty by your side! I limit myself to blogger for social networking. sometimes I do the rounds on FB, but I haven't even considered twitter. My life if full enough. Diane, you are such an inspirational force in the blogs, and I can't imagine you did your publishing any harm by withdrawing for a short spell. You will make a comeback that satisfies yourself. It is in your nature to succeed. I am sure by now you already have a plan in mind, just waiting for your to put your considerable skills into effecting it. Go forth and conquer Diane. Mel, I would be really grateful! Donna, thank you, and I shall go forth and conquer. I think you've just got opening night jitters. Once the curtain opens you'll step on stage and shine like the star that you are. You're a pro. You totally can do it! I bet you will be surprised too how quickly people and followers come right back. :-) I can see how you would burn out. I have those moments and haven't even launched a book. Sending you positive vibes! Diane, everything you just said is exactly what I've been feeling. And from some of the comments here, others have been feeling the same. So you're clearly not alone. This past year I've been feeling intense internet burnout and I've also been suffering from lack of writing motivation. 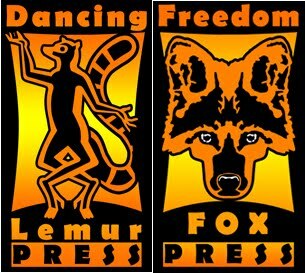 At the same time I've been fretting about how long it's been since I published my first book. It's a vicious circle that goes around and around. Argh!!! I think it's a case of taking stock of our reasons for writing and seeing if we're still doing this for the same reasons we started or even if we're doing it for the right reasons at all. The fact that we're so worried about how long it's been since we last published shows that we still care about our writing and our readers and that leads to the suggestion that we're writing for the right reasons also. Perhaps we just need to revamp our motivation and go from there. I know you'll do brilliantly with your new book launch. Athletes retire then unretire all the time. You can do it! Once the promotional wheels begin turning your adreniline will start and you'll pick up right where you left off. We seem to have too much on our minds and too much going on in our lives. I sometimes wonder if my parents did, as well. Perhaps as a kid I just didn't pay attention to what else, outside of me, was going on. I know you can get you act together by fall. You have time. So, you might have missed an opportunity, but you still have time to advertise and get yourself back out there. Yes, you can, and you will. Comebacks in cyberspace only take a little effort. I'm so buried trying to get the next one to the editor on time, I've hardly done any promotion for my new book. Bad me ... but I have the freebie before it working for me. So, there's that. and I have an ad on Goodreads. If anyone can pull their presence back in time for fall, you can. Diane, I think burnout is a real problem for many. The thing I've learned over the years is pacing myself--easier said than done--as you well know. I know when I was so sick, I had to withdraw to some extent--I didn't have a choice. 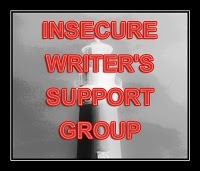 Yes, it worried me because I had worked so hard to get the blog and my online presence to where it was. It took a bit of a hit--also worrisome. It's not hard to pick up speed but it takes energy and focus. I've just had to be steady and do it gradually. You've kept your hand in. I've noticed the resurgence of activity and I can't see any difficulties for you to build your presence again. I've also notice yours is steady but not nearly as driven as before. Kudos for that. I think this time you're building a good steady, sustainable fire. You and Helen Ginger were my biggest support and teachers when I started out several years ago. And offer a "You can do it!" Best, BEST wishes on your up and coming release!! Momentum's a funny thing, as soon as you roll, you pick up speed. You are strong, talented, and have a proven track record. We are all here for you to support you in any way we can. Take it one step at a time. Don't focus on the overall, concentrate on one aspect at a time. We can only do so much! Don't be so hard on yourself! L. Diane, it's only been 2 years since your last publication? That's not long. Shoot, I'll be working on drafting my book for a good two years. I think you're doing just fine.